Then compare these passionate leaders to a pundit, spin doctor or troll (for just about any cause du jour) being interviewed on TV. After three sentences, they run out of assertions, facts or interesting things to say. There’s a lot to be said for being deep, scientific and informed. There are lots of religious talking points, especially among pastors. Several years ago I was attempting to have a conversation about the nuances of religious faith, but one of the three in our little conversation triangle kept offering up his “talking points” in response to every idea presented. What I wanted was brain-storming and the exploration of our theological imaginations, but what he wanted to do was keep us all on the “orthodox” path by inserting his talking points. Talking points are good, but as Godin says, if that’s all there is to our comprehension of any subject, and I think faith especially, then we might need to live into our faith more, and open our mouths less. What do you think? 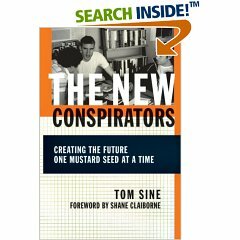 Tom Sine’s latest book, The New Conspirators, celebrates the increasing diversity in the church. Sine’s book continues the theme of his classic book, The Mustard Seed Conspiracy, published in 1981. Sine was a ‘red-letter Christian’ before the official group existed, and in this hopeful volume he gives us examples across the spectrum of the 21st century church. Divided into five “conversations” Sine takes his readers on a tour of real places where real people are living out the gospel as they understand it in communities and congregations around the world. In Conversation One, Sine introduces the unfamiliar to the four streams of the postmodern church — emerging, missional, mosaic, and monastic. Sine celebrates the gifts each brings to the body of Christ, giving an even-handed, generous perspective on each. In Conversation Two, we are reminded of our global culture from massive consumerism to militant terrorism. This is the world in which we all live, and Sine reminds us that there are those who covet our American materialism, and those who despise it. But, despite the negatives of globalization, Sine sees positive things in our shrinking planet, such as the connection young people around the world are making with each other, transcending local cultures. Conversation Four reminds readers to take “turbulent times seriously.” Sine pulls takes us below decks in his version of humanity’s “Ship of Fools” examining the stark contrasts between the fabulously rich, the increasingly shrinking middle-class, and the world’s abject poor. Eden’s Path – detail of our house from a painting by Debbie. Debbie and I created a new blog to record our journey toward a simpler life. Eden’s Path features the practical things we are doing to spend less, enjoy life more, and live in the rhythm of God’s grace. The name, Eden’s Path, comes from an old Celtic Christian saying that life on this earth is like living with “one foot in Eden.” We believe that God’s creation is good, that we live with the earth, not just on it. We’re also trying to consume less, despite the encouragement of our government for us to spend more. Evermore growth will not solve our spiritual, social, or economic problems. Being better stewards of God’s gifts to us will, we believe. So, if you have time, stop over. We mostly are telling the stories about what we’re doing to find the simple life of faith, hope, and dreams. I’m not sure if it will take us to Eden, but at least we’ll be on the path. I’ve added a new category to this blog — Pastoral Care. In small churches, pastoral care becomes a primary and expected ministry of the pastor. Here’s the first post. 1. Help, advice and moral guidance offered by a clergyman or other spiritual advisor to a group, such as the children in a school, members of the armed forces, a church congregation, etc. If you’re a pastor, that’s the primary business you’re in — offering help, advice, or moral guidance to folks in need. But I would like to add one more item to the definition of what pastors offer people in need, and that is prayer. I represent God. The people who have come to me may have gotten help, advice, or guidance from a doctor, a nurse, a lawyer, a social worker, a friend, a family member, a neighbor, or a counselor. But I represent God to them and for them. 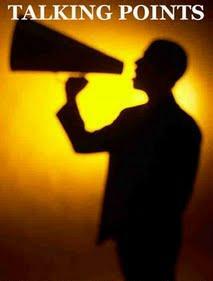 None of the other helping professions shows up in the name of God to help people. I do. And I offer to pray to that God right then on their behalf. I can pray, but I may not be able to do anything else. People in need are always hearing others ask “What can I do to help?” You may not be able to change the circumstances, heal their child, write them a check, or solve their problem. But you can pray and you can do it right now in their presence. I may not have another opportunity to pray with them. At the moment you are standing in the hospital room, or sitting in their den, or holding their hand, or sharing their grief, you can pray for them. Circumstances change, people die, hearts get hard, the moment passes. Offer to pray for them while you are with them. It may be your only opportunity. Prayer invites God into their world. Wherever you have met these people in need — the hospital, the jail, the funeral home, or the church office — prayer invites God into their world. No one else will do that, and you can. One word of caution — before you pray be aware and sensitive to the situation. Years ago, I was standing in the ICU room of a young woman who was brain-dead from a car accident. Her parents were standing with me as they faced the decision of turning off her respirator. Another pastor from the community came rushing in and offered to pray. With great enthusiasm, he prayed that God would heal their daughter, and then he turned and rushed back out of the room. I was left to comfort parents who knew the end was near. The last decision they would make for their daughter while she was alive would end her life. Praying for healing at that point was an insensitive and hurtful act. I always offer to pray. I represent God. If I don’t pray, who will?